VersaTube® Building Systems is a U.S. based international company with dealer partners in eight countries and expanding distribution capabilities worldwide. With factories at corporate headquarters in Collierville, TN and in Casa Grande, AZ, VersaTube designs, manufactures, markets and distributes pre-engineered tubular steel framed metal building components and systems – featuring our patented Slip-Fit frame connections – for residential, agricultural, commercial, light industrial, public works, disaster relief housing, and custom building and shelter applications. 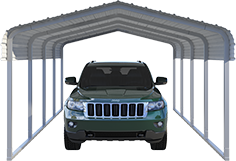 VersaTube steel frame carport, shelter, garage and building kits are designed for compact packaging in bundles and on pallets, allowing for the stacking of multiple units for shipping, as shown below. Corrugated cardboard wraps or polyethylene fabric covers are available options for identification and additional protection. As a consistent shipper of truckload and LTL quantities, we have experience loading containers for international shipping and delivery to freight forwarding locations. We have an understanding of the documentation and paperwork required for international shipments, as well as those going to Canada and Mexico. 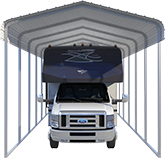 Forming mutually profitable business partnerships through sales and distribution of VersaTube carports, buildings, and shelters. 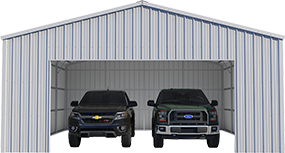 Our goal is to expand our international network of dedicated dealers and distributors to promote our easy-to-assemble steel frame structures and maximize global sales opportunities in new markets worldwide. Or, click the link below to submit an International Dealer inquiry.